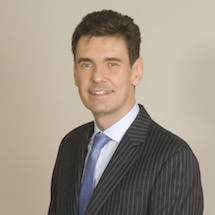 Dual qualified as a lawyer in the United States and the United Kingdom, Mark I. Davies is the Global Managing Partner and founder of our firm. Mark also Chairs our Global Business and Investor visa team and focuses his practice on EB5, L1, E2 and other business and investor visa solutions. A former General Counsel, Mark is relied on as primary counsel to major corporations, investors, non-profits and businesses of all sizes. Mark holds a Juris Doctorate degree from the University of Pennsylvania Law School, a law degree from a major university in the United Kingdom (UK) and an MBA degree from the University of Pennsylvania's Wharton School of Business. Mark was awarded a post-graduate Fellowship from the University of Pennsylvania law school and is the holder of multiple scholarships and academic awards. Mark has also published legal articles and spoken on an international basis. His speaking engagements include presentations for various US state bar associations, the Association of Corporate Counsel, the Law Society of England & Wales and the ALA.
Mark has been recognized by the White House for his service within the US legal profession. Mark gained his first US immigration experience almost twenty-five years ago when he first applied for a US visa. Prior to immigrating to the United States, Mark held multiple different US visas, eventually obtaining a green card and later naturalizing. In addition to being the Global firm Chairman of Davies & Associates, Mark also Chairs our Business and Investor visa practice. In this role, Mark assists business and investors from all over the world structure their interests and move to the United States. Mark is relied on by multi-billion dollar global corporations as well as small businesses and trained in two very large international US law firms. Mark has the benefit of a first class legal training. He has also served as a Senior Vice President in one of the world's largest corporations where he was responsible for the North American law group. Mark is the immediate prior Chairman of the Board of Directors of Lawyers Without Borders (a UN affiliated NGO), Chair of the In-House Counsel Section of the Connecticut Bar Association and recipient of a White House Commendation for his contribution to the legal profession. He has also served on Board of Directors and in leadership positions in a variety of organizations dedicated to promoting pro-bono and diversity on the legal profession. Based on his knowledge of both the US and UK systems, Mark was asked to work with a "big 5" accounting firm client to prepare suggested reforms on the laws of England & Wales for the government of the United Kingdom. Mark represents clients from around the world through all stages of the EB-5 visa program, helping them to traverse the demanding investment immigration process and obtain green cards for themselves and their loved ones. His services include analysis and execution of all required business and immigration documents, business formation and planning as necessary. As well as counseling clients on any issues they may have regarding the EB-5 immigrant investor process. For more than 20 years, his personal focus is on assisting foreign investors and business owners. Mark commonly assists clients with EB5, E2 and L1 visas and is known as a leading investor visa lawyer. Mark represents clients from India, Pakistan, Korea, China, Europe, the Middle East, South America and Southeast Asia. Described by several clients as "the world's very best L visa lawyer" Mark frequently travels to our locations in Mumbai and Dubai to work with investors and business owners in the region. Mark is supported by specialist lawyers who focus their practices on E-1, E-2, L-1 or EB-5 visa work. Mark's breadth of practice experience working with investors and business owners coupled with his MBA and significant business experience enable him to provide tailored strategies to our clients that meet their immigration goals.